Innovation, Collaboration, and Agility - at GRSi these aren't buzz words, they're our mantra. GRSi is an ISO certified and CMMI/dev-ML3 rated professional services organization with expertise that covers all areas of information technology and professional engineering services -- from systems integration; Agile, Iterative and Waterfall software development; multi-tier infrastructure support; to full spectrum cyber security and enterprise systems support. Regardless of the program or the task, the excellence of GRSi is all about the people. Our greatest asset is our ability to attract and retain highly qualified professionals and our record growth this past year means new opportunity. 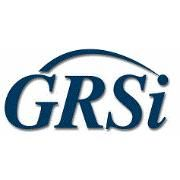 GRSi is a quickly growing, 18-year-old company with exceptional benefits and an employee focus. With 27 new prime awards and over $200M in new awards in the past 11 months, GRSi has been experience industry leading growth. Even with our focus on promoting from within, we are looking to add key resources for exciting new long-term contracts. Our growth means opportunity now; our continued momentum means opportunity for the future. If you’re looking for excitement, stability and growth, look to GRSi!